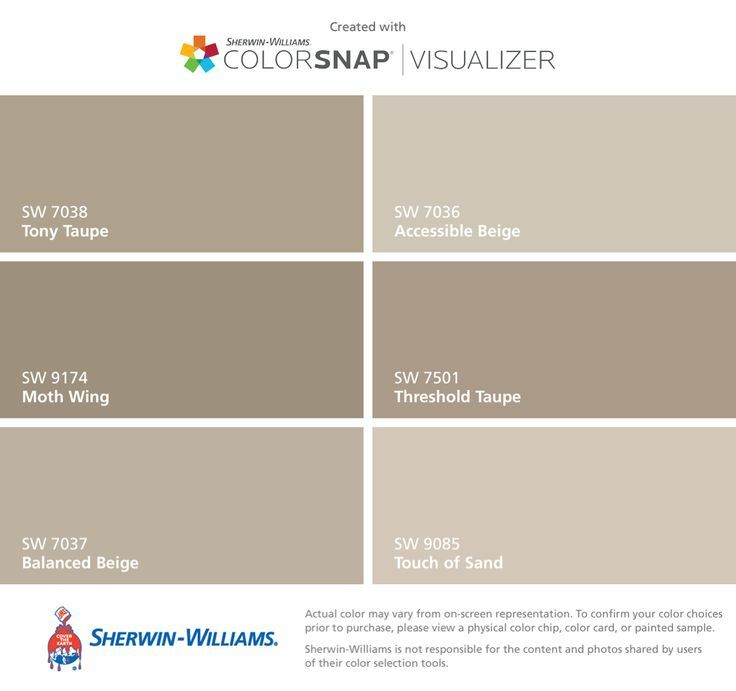 You would think choosing a paint color is simple. But no. It's never that easy! I am SURROUNDED by shades of grayish khaki, beige, beige khaki, greenish khaki, peach beige, wheat... blah blah. You think colors look PERFECT on the sample and then get them on the wall and OH MY... NO. So I have been trying to make a decision and every time I thought I had my "this is it, for sure this time" decision... it wasn't. When we moved into our home 5 years ago, the previous owner had painted the entire inside just before listing. Used the cheapest, chalkiest weird paint that left chalky gray stripes up and down the walls where his roller was. NEVER have seen that before in the 5 homes we've lived in and painted numerous times. (I bought of the exact color/brand thinking it was a bad mix or not mixed well enough but EVERY CAN of that brand did it). So I got better quality paint and I tried like heck to 'match' the paint already here because I figured that would make it easier to paint at a nice, slow pace as needed. The paint we 'matched' at the time, a few years ago was Aura's Coastal Path by Benjamin Moore. At the time, on the wall I was matching, it seemed to match perfectly. In hindsight, it wasn't. It was a shade too 'orangey brown' if the sun wasn't directly on it. What happened was that over the next 2-3 years of slowly repainting everything I started to realize our house was to dark. Too 'yellow' in all our photos. I took the sample swatches and tried again before I repainted the master bedroom and found a color closer to the original lighter shade I *should* have been using for the past couple years was Glacial Till. So I slowly started to buy Glacial Till - the bedroom and 1 of the walls of the kitchen and the office were all done in Glacial Till and the difference is awesome. But dang-it that paint is $65-75 a GALLON. And that is NOT budget friendly. Especially when you have a 3 story house. In the last 5 years I've spent about $1500 on Aura paint.... I could have painted the whole house in the pale GRAY I originally WANTED to 5 years ago if I had foreseen I would be spending that much just to re-paint what was already there when we moved in (that I did not pick). I started on a quest to 'match' the Glacial Till color I love from the expensive Aura to high quality but less expensive paint I could pick up at my local Lowe's store. After DAYS of researching online and looking at a thousand paint samples, images, other peoples blog posts and photos, etc. I decided the color that I was going to try was Accessible Beige by Sherwin Williams. I loved the photos of it online and it looked like it would be beautiful in our home too. Lowe's offers tiny little containers of custom mixed paints for you try for about $3 (although they often go on sale for $.99 sometimes). So I got 3 samples of paints to try - but I was SURE I was going to love and buy Accessible Beige. I just knew it. And did not like ANY of them in our living room. And I didn't love that either. After living with the splotches on that particular wall for a week I couldn't stand it anymore and painted it all in the Aura's GLACIAL TILL I had on hand. I loved it. I just do. But it's so expensive I just can't keep spending $65-75 on each gallon of paint. We have a HUGE house and a single-income. I'm going to skip ahead now - because this post is WAY LONGER than I anticipated it to be. In the end I had Lowe's match the Aura's Glacial Till and I had a guy in the paint department that ROCKS! HE IS AMAZING. So the computer 'match' didn't match after all (they rarely do when you are matching a different brand). It was too yellow. So he 'tweaked' it - and OMGosh he matched it exact. But I'm really really really loving the last sample paint I also picked up to try. This week I *MUST* make some decisions. 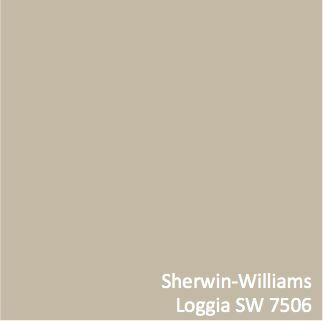 Right now it's between a Lowe's match version of Glacial Till and the Sherwin Williams Loggia SW 7506.